Dharamshala: - In the Tibetan settlement of Sonamling in Ladakh, less than 100 km from the Tibetan border in the northernmost corner of India, the youth is increasingly assuming leadership, making Sonamling the youngest led Tibetan settlement under the auspices of His Holiness the Dalai Lama. For up to eight months of the year, Ladakh's desolate location in the Himalayas, and the extreme weather conditions there, make Sonamling virtually inaccessible. But despite their partial isolation the Tibetan refugees in Sonamling are actually at the forefront of democracy in the Tibetan exile community. As the youngest to hold the office of Chief Representative (CR) in a Tibetan settlement, Sonamling's 41-year-old Dhondup Tashi is also the first CR to be elected by popular vote. 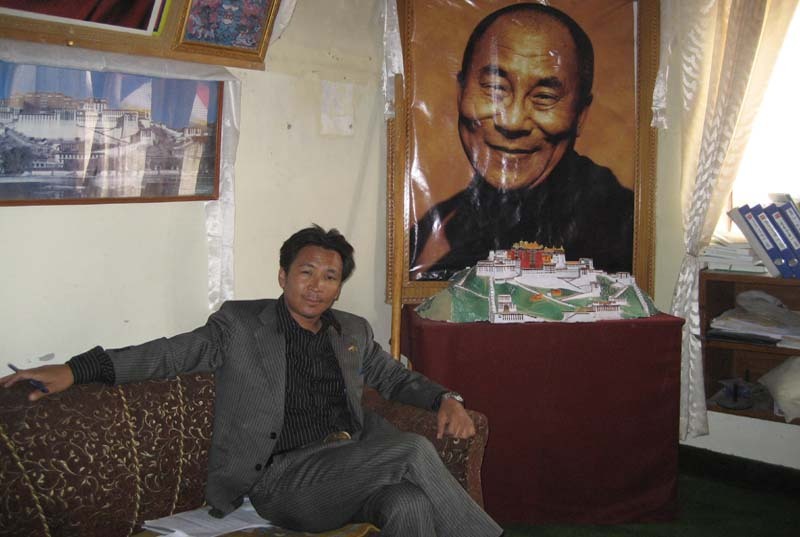 The Tibet Post International recently met him in his office, a ten minute drive from the Buddhist capital Leh, from where he directs the approximately 7300 individuals who make up the Tibetan refugee population in Ladakh. A lecturer by profession, Dhondup Tashi has put his career on hold for three years to serve the Office of His Holiness the Dalai Lama. He credits the schools of the Tibetan Children's Village (TCV) for the unique age-shift amongst community leaders in the area; "because of the local TCV, 90 % of the youth are educated here, unlike other Tibetan settlements." The 21 camp leaders under his jurisdiction are mostly youth, he said and added, "a good number of the youth here are contributing members of society. There are so many of them who are willing and able to take the chair." He is now two years into his three year tenure, but when he is done he would prefer to see someone young take over again. "New and young minds have fresh ideas", he said as he underlined the importance of people electing their own leaders and understanding democratic principles.